Don’t let it continue throughout the day. Limit to 4 or 5 periods. This especially includes apple juice, raisins. 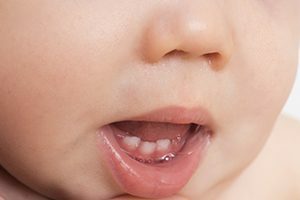 Residual fruit sugars easily damage baby teeth. Restricting unlimited contact between food and teeth is the most important factor in preventing cavities! Remember: thorough brushing is more important than frequent brushing. Thorough flossing is just as important. Most kids under 7 are going to need assistance. Regular hygiene is the second most important factor in preventing cavities! Important for teeth that haven’t broken through the gums! Available as tablets or drops, or in most municipal (not private) water supplies. Use fluoride toothpaste and mouthwash with teeth that have broken through. Fluoride is the third most important factor in preventing cavities!